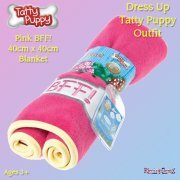 Have hours of fun dressing up Tatty Teddy - cute pink and blue shoes with a pretty pattern! 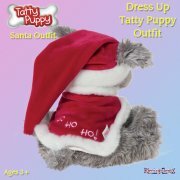 Suitable for ages 3+, these shoes are made exclusively for the award-winning Dress Up Tatty Teddy. 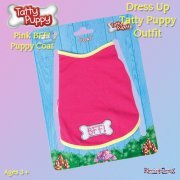 Have hours of fun dressing up Tatty Teddy - cute pink and blue shoes with a pretty pattern! 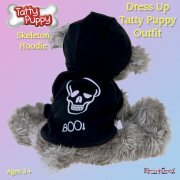 Suitable for ages 3+, these shoes are made exclusively for the award-winning Dress Up Tatty Teddy. 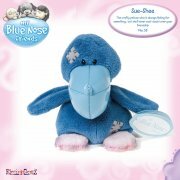 Tatty Teddy's Pink and Blue Checked Shoes are brand new and carry an official Carte Blanche tag. 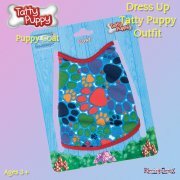 This is an accessory pack and does not include Tatty Teddy himself. The full range, including outfits and accessories is all available separately from ElectricGemZ. Search for Teddy in the box above.